Every once in a while I get to skate in a show where every costume is adorable and glamorous. When I wear those costumes, it's easy to feel like a million bucks. But those shows only come around once in a blue moon. Normally my costumes are a mixed bag, ranging from lovely to crazy and everything in between. This picture is from the show that I'm currently skating in, where I have the pleasure of dressing up like a boy in an old school powdered wig. It's not exactly my definition of adorable. But it actually does turn out to be adorable when it's paired with a sassy attitude. 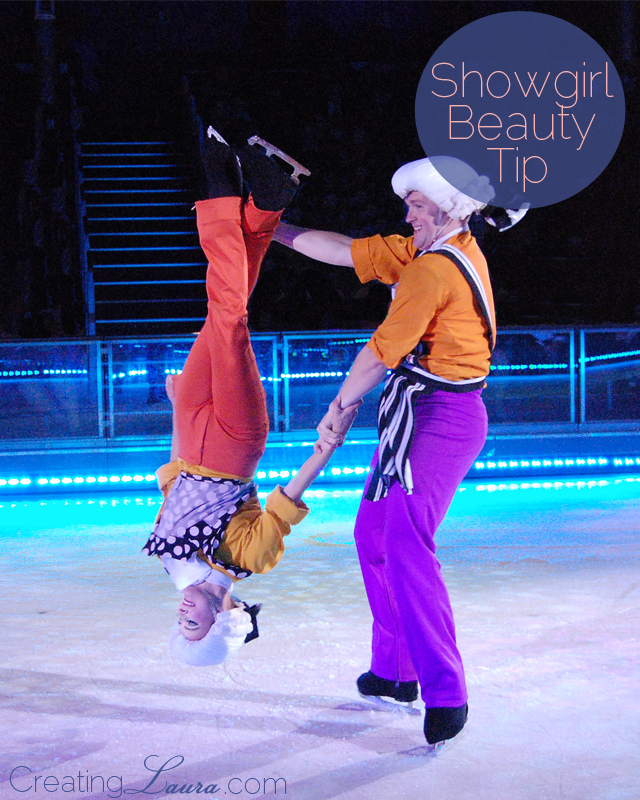 It's a super upbeat part of the show, and we get to skate to fun music and act like the sneaky tailors who make invisible clothes for the emperor in The Emperor's New Clothes. I absolutely love it, and as long as I remember to embrace my character and exude confidence, I end up looking cute. I feel like this concept transfers perfectly into everyday life, don't you? Just like in ice shows, it doesn't really matter what you wear; what matters is how you wear it. When you accessorize with the right attitude, you can make any outfit look great. Yes, so true! Attitude is important! :) Carry any costume with the a bright smile! Great post! You gotta "own" your look! I love it!